XaaS is a general, collective term that refers to the delivery of anything as a service. It recognizes the vast number of products, tools and technologies that vendors now deliver to users as a service over a network -- typically the internet -- rather than provide locally or on-site within an enterprise. SaaS provides a wide range of software applications, such as Google Apps, Microsoft Office 365 and Salesforce, to users. PaaS offerings, such as Amazon Web Services (AWS) Elastic Beanstalk, Heroku, Force.com, Google App Engine and Apache Stratos, typically provide preconfigured virtual machines (VMs) and other resources for application development and testing. IaaS allows organizations to deploy and configure virtual machines hosted in a vendor's data center and manage those VMs remotely. IaaS services include Microsoft Azure, Google Compute Engine and AWS Elastic Compute Cloud. There are many other examples of XaaS. Storage as a Service (SaaS) provides application, data and backup storage systems in the cloud, while Database as a Service (DBaaS) provides access to a database platform through the cloud. 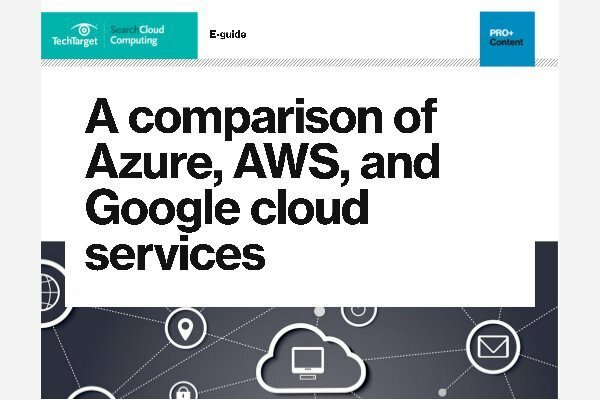 Public cloud providers like AWS and Azure have DBaaS offerings. Malware as a Service (MaaS) uses the public cloud to help organizations guard against common attacks, such as ransomware and distributed denial of service (DDoS). VMware AppDefense is one emerging example of MaaS. More examples of XaaS include Disaster Recovery as a Service (DRaaS), Communications as a Service (CaaS) and Network as a Service (NaaS). What are the pros and cons of XaaS? Organizations often choose XaaS because the as-a-service model can cut costs and simplify IT deployments. With every additional cloud service, an organization can shed pieces of its in-house IT infrastructure, leading to fewer servers, hard drives, network switches, software deployments and more. Less on-premises IT means less physical overhead -- such as equipment space, power and cooling. This translates to reductions in IT staffing and firefighting, or allows IT staff to focus on more important, value-added projects for the business. In addition, using an outside service rather than on-premises technology shifts many capital expenses (Capex) to operational expenses (Opex) for the business. Despite their benefits, XaaS offerings sometimes contend with issues of resilience and internet reliability. Some enterprises also want more visibility into their service provider's environment and infrastructure so they can better gauge service health and assume a more proactive role. In addition, a service provider that goes out of business, gets acquired, discontinues a particular service or alters its feature roadmap can have a profound impact on XaaS users. The combination of cloud computing and ubiquitous, high-bandwidth, global internet access provides a fertile environment for XaaS growth. Some organizations have been tentative to adopt XaaS because of security, compliance and business governance concerns. However, service providers increasingly address these concerns, allowing organizations to bring additional workloads into the cloud. Which XaaS models have you implemented in your organization, and why? Wouldn't it be easier and to take all of these 'aaS' acronyms and just call them 'aaSS', meaning "as a Service System". I have seen a lot of people in the IOT community using 'aaSS' recently instead of detailing every acronym; IaaS, HaaS, SaaS, EaaS (emulation). Since all of this is fairly new everyone is trying to coin a phrase, but aaSS is the one that makes the most sense across the board.